Nope. Your eyes are not deceiving you. Tthere appears to be fried chicken with mashed potatoes on Amber Rose’s right thumb, a vibrant green marijuana leaf on her right index finger, a yummy chocolate covered strawberry on her left middle finger and the remainder fingers are drizzled with delicious treats and girly pinkies. 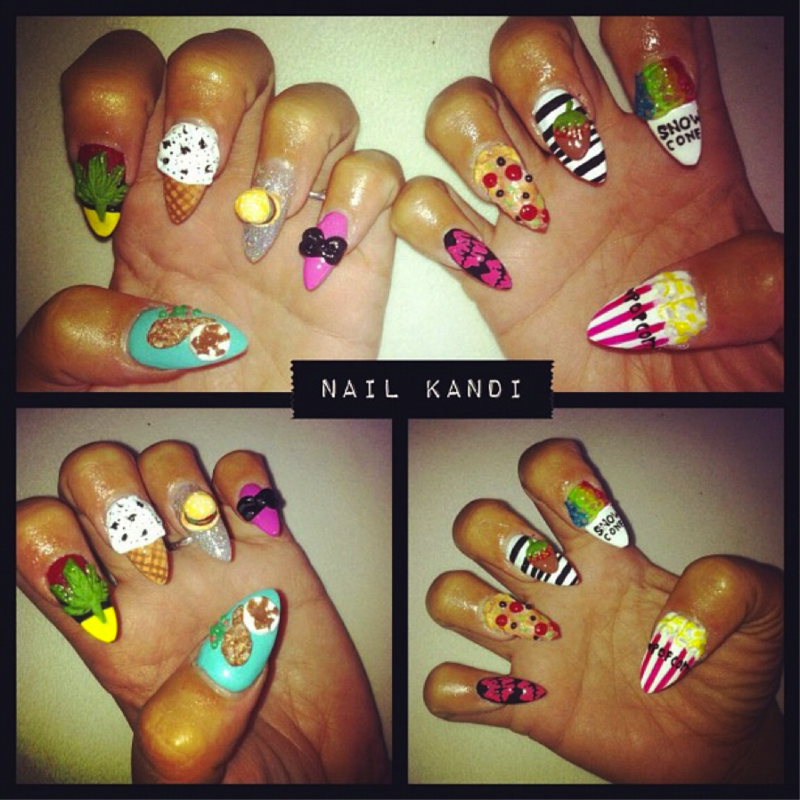 Amber Rose tweeted her “Cafeteria Food” nails done by the very talented Nail Kandi yesterday. She tweeted: Just got Cafeteria food nails and weed leaf for my baby . We’re assuming “Weed leaf for my baby” is a special shout out to her smoker fiance Wiz Khalifa. Cute.